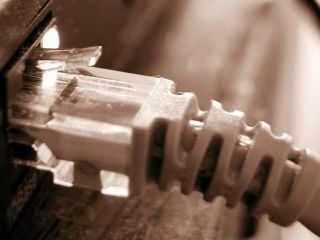 A new Ofcom research bemoans the state of UK broadband, with less than one per cent of British homes having super-fast broadband offering speeds of up to 100Mbps (megabits per second). Britain is lagging behind a number of other countries, with the report noting that over a third of Japanese consumers already have super-fast broadband. Ofcom's annual International Communications Market report, says that more needs to be done to develop and promote a super-fast broadband network across the UK. "We still have challenges on superfast broadband take-up. We are not where we want to be but plans are well under way and, if they are fully met, will take us to a strong position," said chief executive of Ofcom Ed Richards. In slightly more positive news, the UK has seen a considerable growth in smartphone take-up over the last few years with a 70 per cent rise in subscriber numbers in 2009. Ofcom claims that Brits are leading the way in using mobile mapping and sat-nav apps on mobile. However, UK mobile users are still being offered some of the slowest average speeds of mobile broadband when compared with other nations. Ed Richards explains further: "There has been a big change among mobile operators and an increasing consensus that UK consumers are early adopters and need lots of data. We are in a much better place than we were a year ago." The maximum mobile download speed in the UK is 7.2Mbps compared with 42Mbps in Japan and 100Mbps in Sweden.